Earlier today, the US Patent & Trademark Office published patent application #20140125825, submitted by Apple. The submission covers a pretty interesting new Apple invention that could end up in future iDevces like the iPhone. The new invention, while fairly technical, basically refers to the creation of a 'super-resolution' image that results from stitching together several relatively lower resolution snaps taken in a quick succession. For this trickery to work, the iDevice in question will require an Optical Image Stabilization module, which is governed by smart algorithms that tilt the camera at differing angles while taking the shots. The wealth of information contained in the resulting images is then fed to a dedicated imaging processor, which intelligently stitches them together into a singular, 'super-resolution' snap. Apparently, the engine on board can also apply gamma correction, anti-aliasing and general color processing techniques. The filing in question also illustrates how such an option can be implemented with the stock iOS camera. From the figure, it's obvious that Apple is thinking of an extra option that will be easily accessible from the camera UI and will turn on and off the super resolution mode. The patent application in question was filed on November 8, 2012, so it's safe to say that Apple has been working on this for a while now. It remains to be seen if such a feature will become part of a future iPhone, though it appears unlikely that such functionality will be packaged into the upcoming iPhone 6. For one, a report out of China claims that Apple has settled for Electronic Image Stabilization with the iPhone 6, likely to conserve cost and avoid a bulky camera sensor. Apple has constantly proven its prowess in smartphone cameras. The iPhone 5S still go head to head with the GS5s 16 mp ISOCELL camera for example. But doesn't out perform it. Get a Nokia Lumia with pure view camera. GS5 is the best camera and video on the market , I had hopes for the Z2 but it failed . My GS5 takes similar pictures as my Sony NEx6 camera which in turn takes pics as good as the Mark3 . and as you kno wthe gs5 smokes the mark 3 and sony nex line in the video department. B.S. I have an NEX 6 and a 5D Mark II, and smartphone cameras are nowhere near these two cameras. While smartphones can sometimes give you nice and clean images, it will not compare to these cameras at all in anything other than perfect conditions, and even then get exposed as terrible (comparatively) at 100% crop. Even calling it similar is a bit disingenuous. Also, really, the GS5 takes better video than a Canon 5D MKII? 4k is fine and dandy, but just look at the difference between the bitrates. So much more data going into the 5D videos. OIS on an iPhone? High res photos? Ohhh snap. Patent =/= actual production product. The fact that Apple has enough money to pay guys to sit in a room and think up things like this should not be a surprise. If they actually make the device patented, be surprised. And hopefully Oppo has a patent that will invalidate Apple's. This approach...of taking multiple slightly displaced images in a short or even long time frame (still picture) is not new. the fact that Apple acquired a patent means nothing. What will mean something is if the patent stands up in court. I can remember research in the MIT Media lab almost 10 years ago on this very subject. I am sure that other universities also were experimenting with this concept. The very fact that the eye tremors with a high frequency, for every waking moment, is a natural example of this concept having been in use for millions of years. Without that tremor, you see nothing. This patent will not hold up in court. I remember years ago when people were trying to print color images that looked good on their monitors but looked horrible when printed. the solution was quite simple, actually. we needed higher resolution images which were subsampled for visual displays and yet the full resolution used for printing. Apple's 8 Meg camera is more than adequate for the screens of a phone and fairly good for workstation size monitors, but totally inadequate for printed images. Higher resolution is required. I am amazed that people are not appreciating this difference in data required for hard copy vs soft copy. Usually, tricks, needed to overcome current physical limitations, don't end up in products of multiple generations. Especially when physical limitations are not based on physics but on current technology. I consider the emulation of high resolution by multiple slightly displaced shots a trick that will not make it. higher resolution sensors will prevail as there are no moving parts and resolution is increased on two dimensions, not one. As sensors become smaller, you will find that light sensitivity, currently limiting increased resolution, will become a non issue as more expensive more light sensitive materials will be more economical when used on an ultra small sensor. Yeah, it is really really disturbing that apple can get a patent for this, since its already in most other phones, with panorama shots and such, that also stitch together stuff in one way or another, if the image is taken with x mp camera the image will never get above that mp in actual detail level. 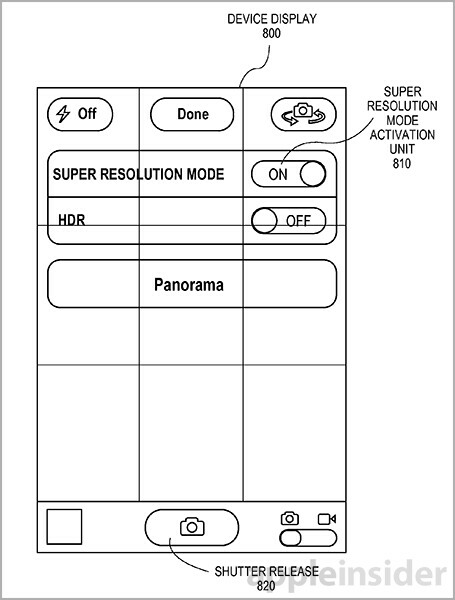 This has nothing to do with the way panoramas stitch together images, from the patent described it involves taking multiple shots using OIS and merging them into one detailed shot almost like how burst mode on the 5s works. You are right of course. I was simply using panoramas as a catchall about stitching, to point out that it is nothing new, and yet they still got a patent which is disturbing. Yeah those phones already have something like this resulting with pictures with 50MP i believe. The difference in detail is very small. Honestly, it's a gimmick. agreed, sounds just like what Oppo did with their newer cameras. But Apple will be the first to file a patent on it in the United States. Which they will then use to go after Oppo. You mean the patent that Apple filed back in 2012? i dont know what was that 2012 patent. im talking about the oppo 7 50mp snapper mode. 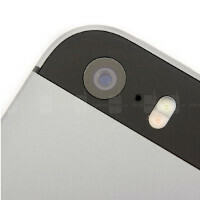 it looks like the 'super resoluion' mode for the iphone- which they are patenting right now.